3-D Monster: Finally! The Full Sentinel REVEALED!!! 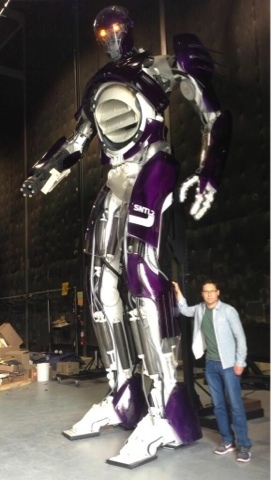 Director Bryan Singer and 20th Century Fox have been teasing the design for the sentinels in the upcoming X-Men: Days of Future Past for some time, and now we've got a good look at one of them. Singer posted this image on his Twitter today showing him with one of the full size sentinels, captioning the image with "Here's to the next 50 years." I thought for sure the Sentinels would be almost completely cgi'd, so I'm really excited that they actually constructed a full size robot!